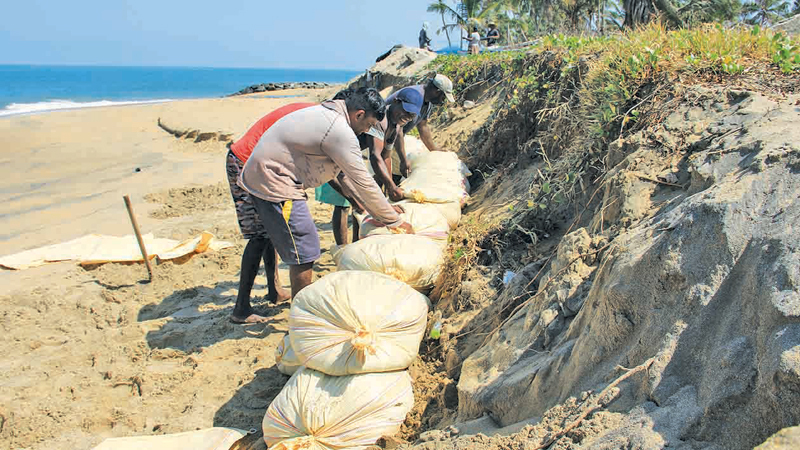 The residents of Arachchikattuwa, Chilaw, have taken steps to protect the Muthupanthi beach from coastal erosion under the instructions of the Coastal Conservation Department. As a temporary measure, sandbags have been lined and Coastal Conservation Department officials said granite boulders would be set up after identifying vulnerable areas. Residents added that nearly 500m of the beach has eroded recently. They also said that transportation facilities have been affected since roads have eroded as well.